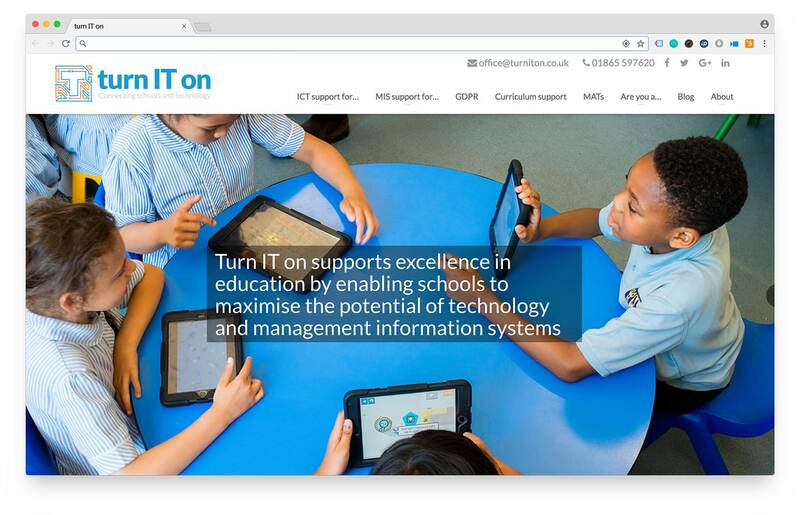 Turn IT on are an IT company for schools, but their original website looked too much like it was aimed at children and not the adults who ultimately make the decisions on how they get their IT. The brief was to create a clean, dynamic and professional website that worked well with their new brand. The logo had grown up considerably in the new design, so the website needed to follow suit. Their old website was built on WordPress, so for them it was an easy decision to continue using it. The new version included some additional plugins to make their lives easier when it came to making updates across the site.